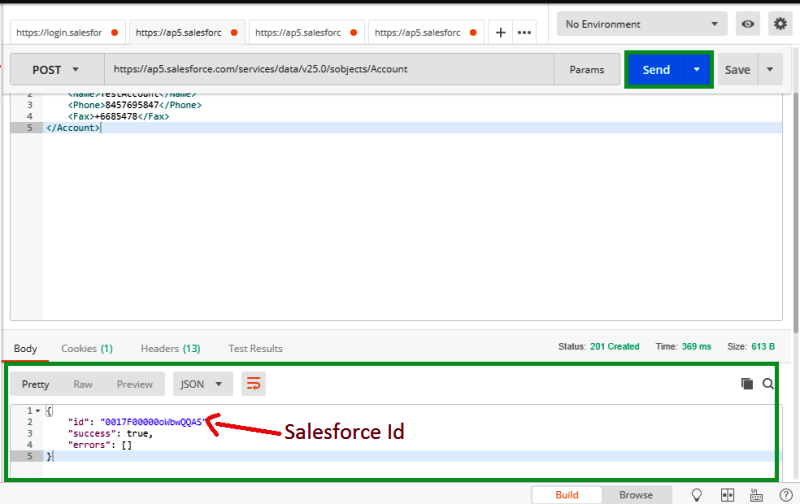 In this article, we are going to see the step-by-step procedure on how to connect to Salesforce using Postman for performing integration tests. 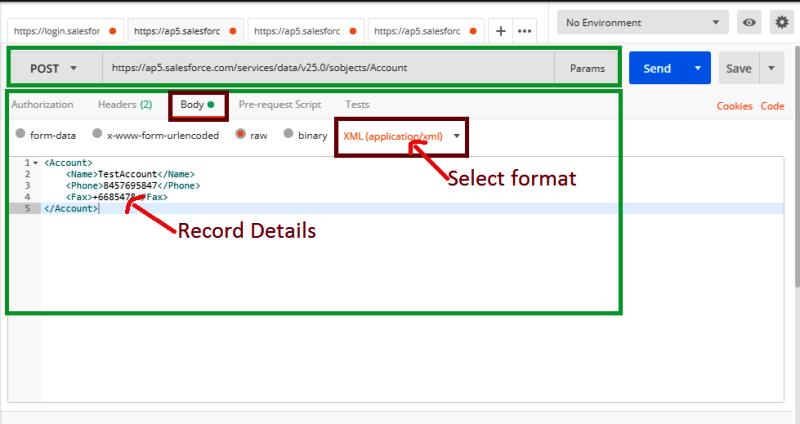 The tutorial is fairly elaborate and contains, details on how to authenticate, retrieve details of a record, create a new record and run SOQL queries within Salesforce. 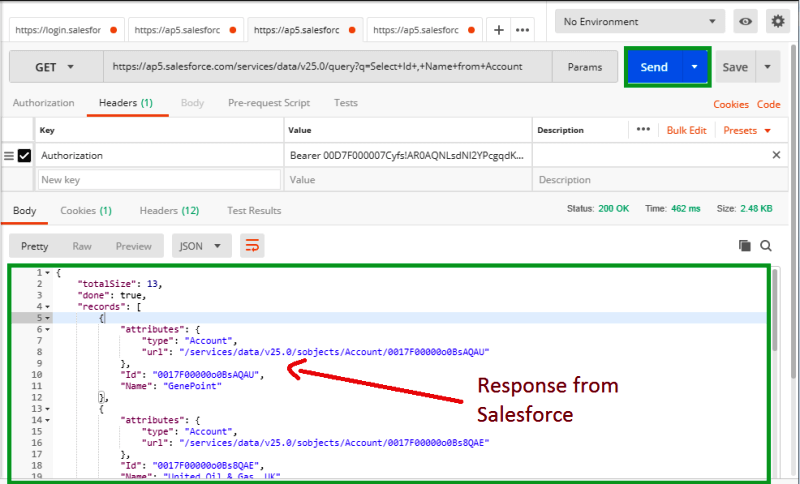 Though we are using Postman for this tutorial, you can use this tutorial to call Salesforce REST API from virtually any other application capable of calling REST protocol. Salesforce provides “Connected App” to connect with the platform with any other application. As we will be using this capability of Salesforce, so lets learn a bit more about it. 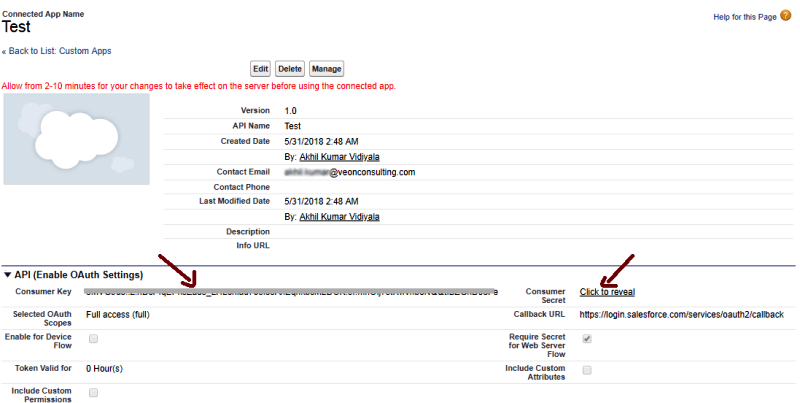 “Connected App” is an application which connects Salesforce org with an external application. 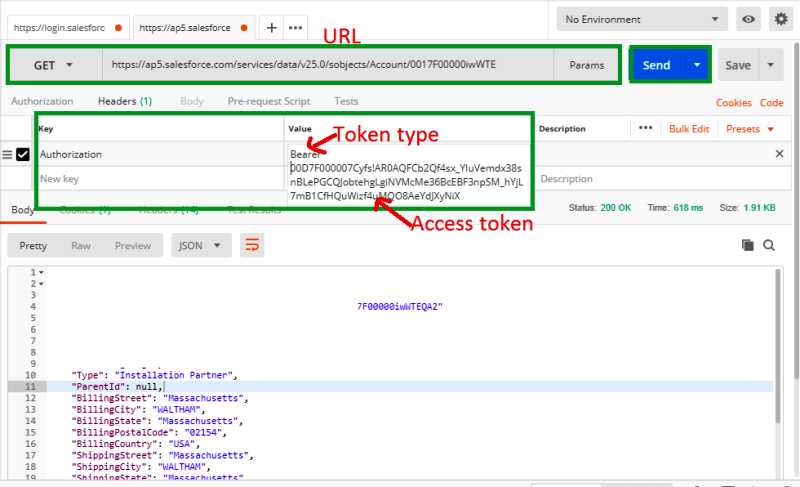 It uses standard SAML and OAuth protocols to authenticate, provide single sign-on, and provide tokens to use with Salesforce APIs. Enter Contact Email and any additional information suitable for your application. Enable OAuth settings in API section. Enter a Callback URL. This is the URL that a user’s browser is redirected to after successful authentication. 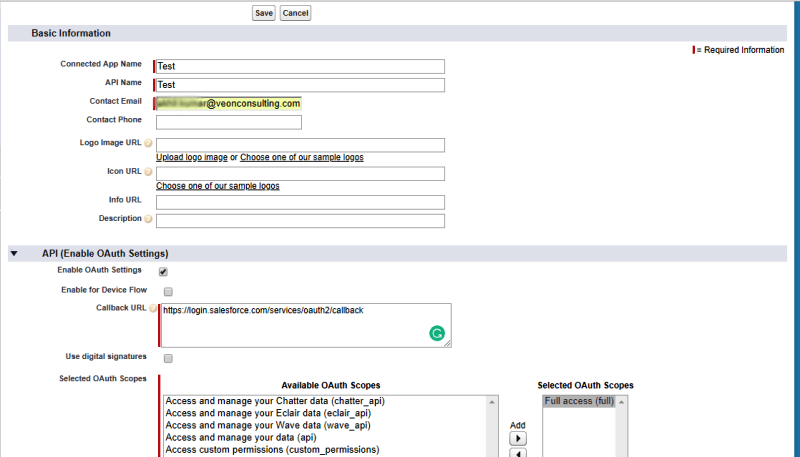 Here I’m giving “https://login.salesforce.com/services/oauth2/callback” as callback URL. You can enter multiple callback URLs but, you have to make sure that callback URL must be secured and if multiple URLs are used, they should be separated by line breaks. Add Selected OAuth Scopes. Here I’m giving “Full access(full)”. Click on Click to reveal link to get Consumer secret. Make a note of “Consumer Key “ and “Consumer secret”, as you need these details to authenticate the external application. Goto Manage->OAuth Policies-> select IP restrictions as “Relax IP restrictions”. With the completion of this step, now we will see how to call and integrate Salesforce with Postman. Postman is an application for interacting with HTTP APIs. 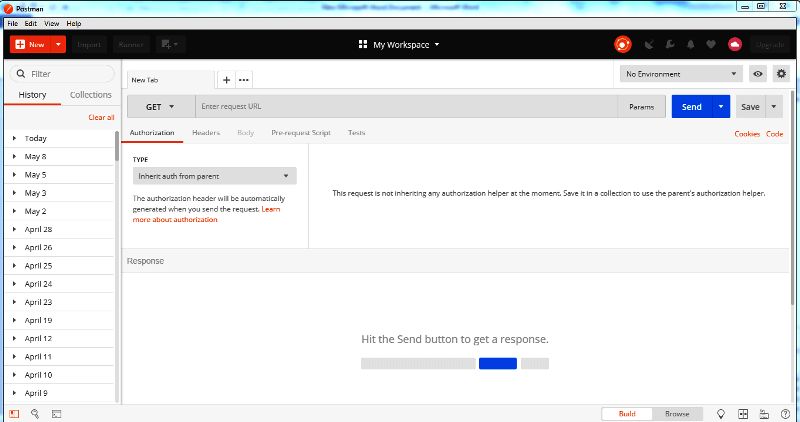 It has powerful testing features and user friendly GUI for making requests and reading responses. Install Postman by going to Postman APPs . It is also available as Add-On for Google Chrome. If you wish to install it as a plugin, navigate to Google Chromes web-store->search for Postman and add it to chrome. 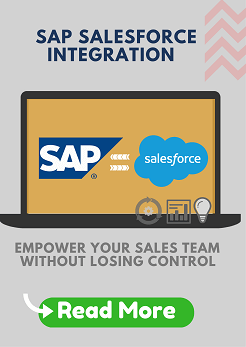 Now that are equipped with understanding Salesforce integration, lets get to our main objective of integrating Salesforce with third party application. For this we have the following steps. YourConsumerKey: Consumer Key obtained from Connected App. YourConsumerSecret: Consumer Secret obtained from Connected App. Create a POST method and Copy the request URL as shown below and click on send. On successful login, you will get Instance-URL, Access token, Token-type. 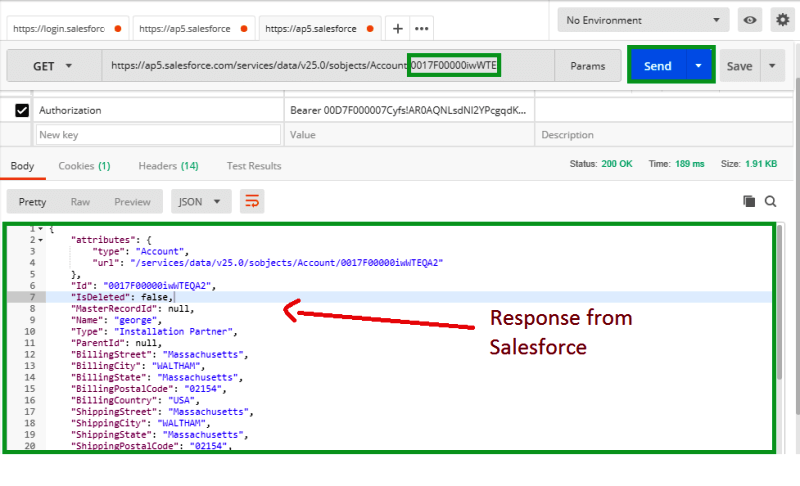 This Access token is further used as a parameter value in Header to send any HTTP requests and get the response from Salesforce. So, make a note of access_token as shown in the figure above. Now we will see how to get details of a record from Salesforce object using the GET. Below is the Sample URL. Instanceurl: Instanceurl obtained in the same manner. Object Name: SObject’s like Account, Contact, Lead etc. Id: This is the salesforce Id of particular record of the SObject that you have selected. Click on the send button. In the response, you will get all the Account details of that particular record as shown below. SOQL are parallel to database query. If you wish to learn more about SOQL queries click on the link. We will see how to fetch data using SOQL query using the GET. Below is the sample URL. Instanceurl: Instanceurl obtained in example above. Now we’ll see how to add records to salesforce object using POST method. Below is the sample URL. Instanceurl: Instanceurl obtained in the same way as described above. Create a POST method, copy the URL and copy the Access token in the Header section. In the body section provide the details of record either in XML or JSON format. Here I’m providing data in XML format. Click on the send button. In the response, you will get the SalesforceId of the record if the record is added successfully to Salesforce org else you will get the error message. 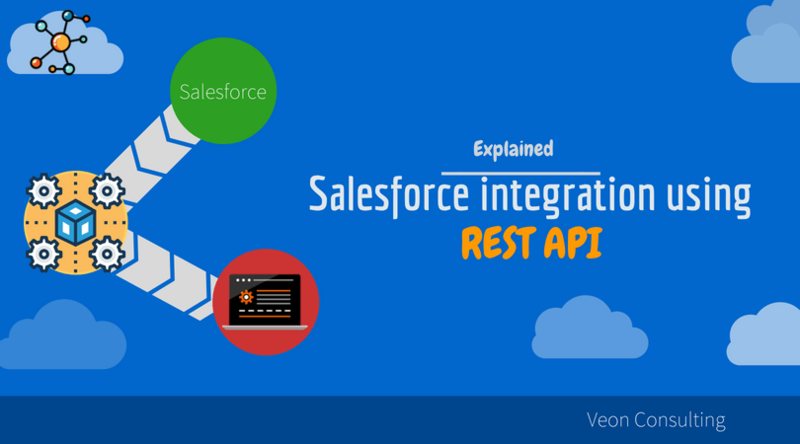 This marks the completion of our tutorial on how to create, retrieve and query records in Salesforce using REST APIs. Our team can help you customize and integrated Salesforce as per your business process. 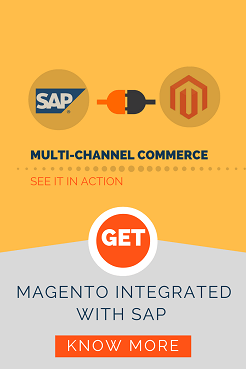 Read about our Salesforce Integration Services. Reach out to us for a free assessment of your business needs.